Once you’ve picked out the perfect Christmas card, it’s time to add the finishing touches. 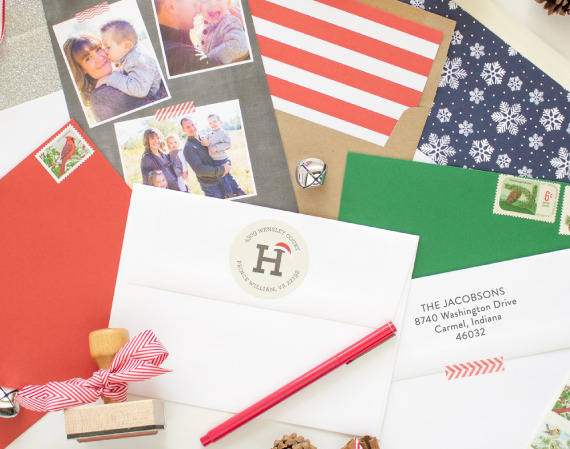 All these add ons are optional – but they’re a great way to add a custom touch to your holiday mailings. 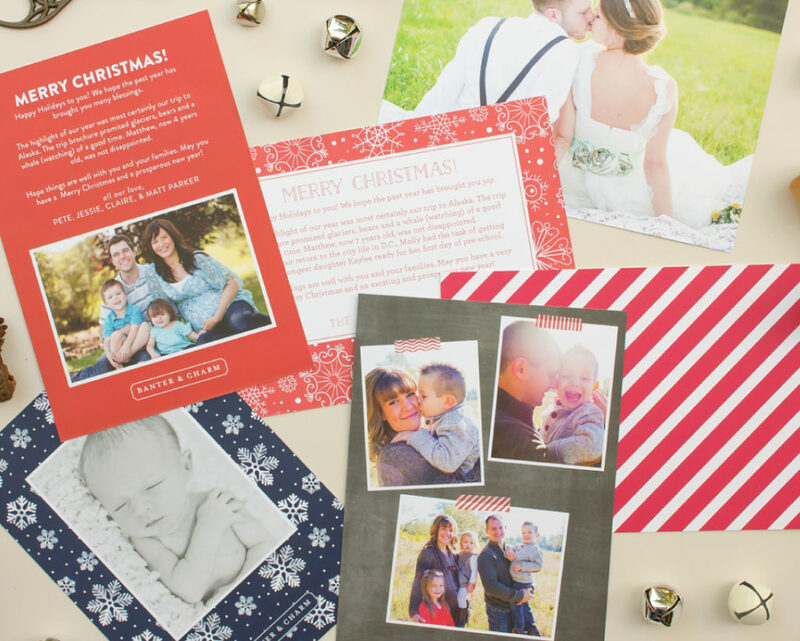 Every Christmas card and holiday invitation in Banter & Charm’s collection can be personalized to perfectly fit your style. The sample designs are just a starting point; make it your own by choosing the colors, wording, and envelopes. And every order includes a complimentary custom backer design! 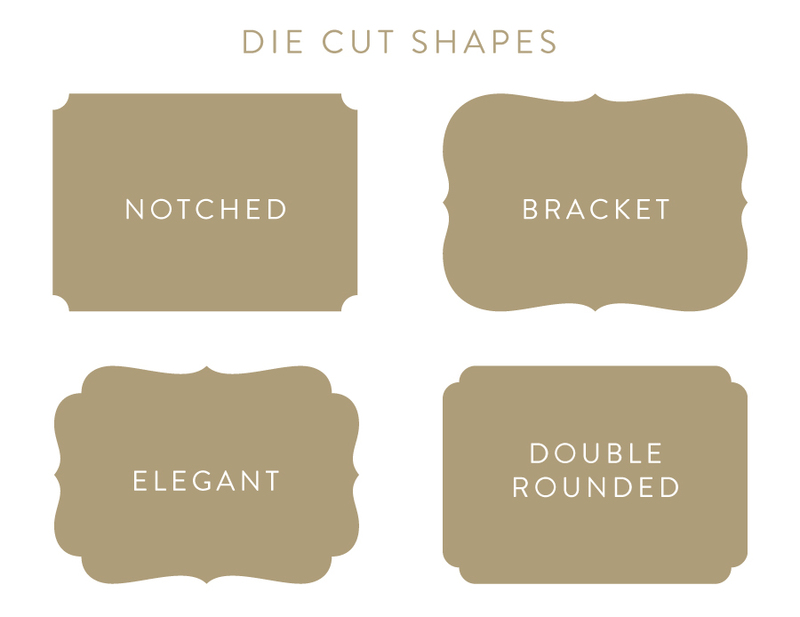 You can also choose from an array of premium options: die cut shapes, double thick paper, envelope liners, mailing address printing, and more. Browse the sections below to see more about the personalization options Banter & Charm offers. Custom Christmas card designs are also available – please contact me for more information. 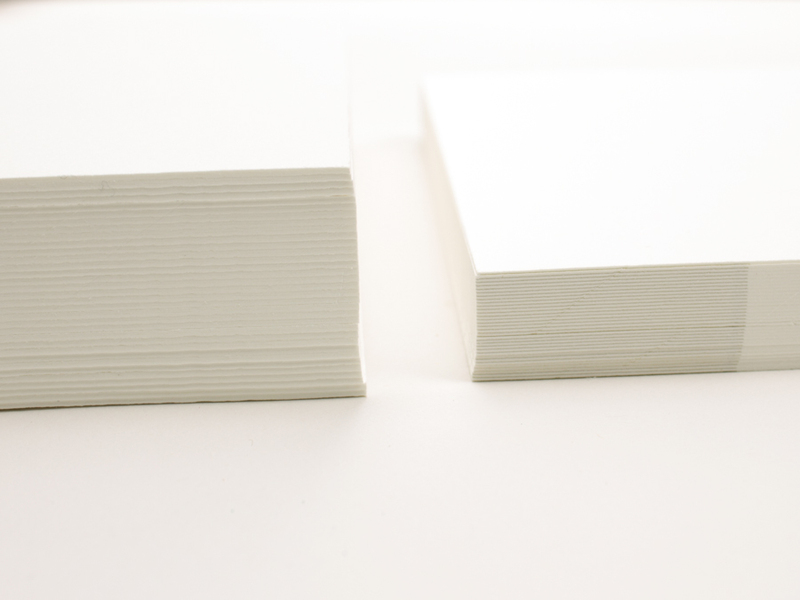 Christmas cards and invitations are printed on 120# 20% cotton card stock in Brilliant White. This paper has an eggshell finish (meaning it’s slightly textured). Looking for something with a little more wow factor? Upgrade to luxe 236# double thick cover. You can order a design in its featured color combination, or choose colors from Banter & Charm’s color chart. You can also choose a faux chalkboard or faux kraft paper texture for the background of your card. Foil stamp designs are available in gold, silver, rose gold, copper, or red foil. All computer monitors are different, so your printed stationery may not match what you see on your monitor. If you’re unsure of the colors, I highly recommend ordering a sample pack to see the color options in person. 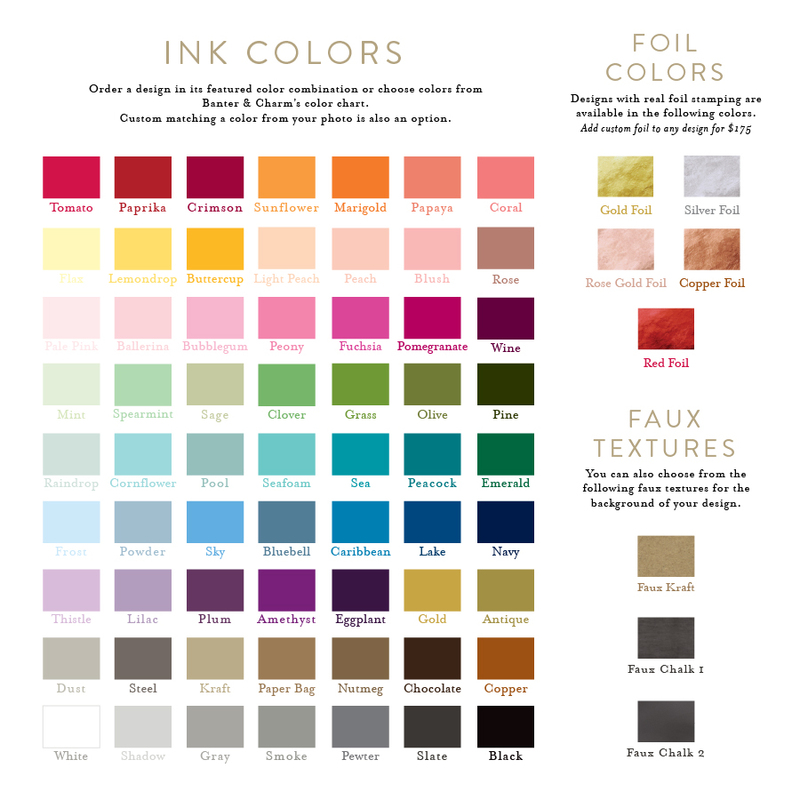 A color chart is included with every sample order. Every order includes blank envelopes with a square flap in your choice of white, red, green, or kraft. 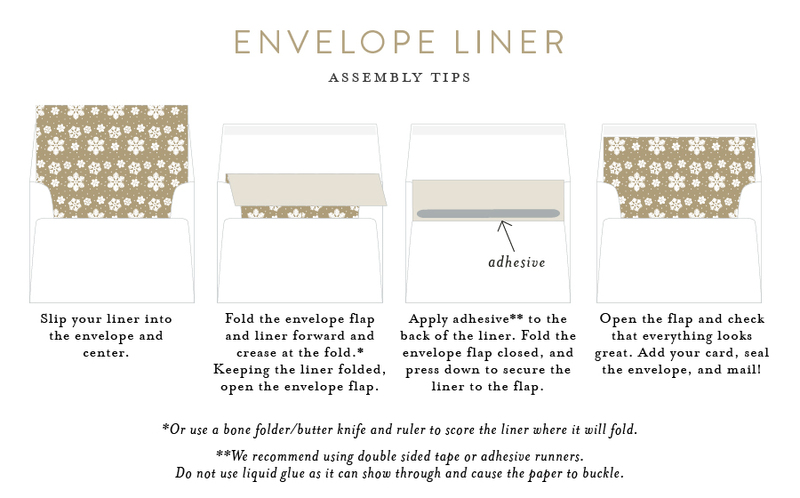 Add a festive touch to your envelopes with a pattern liner! 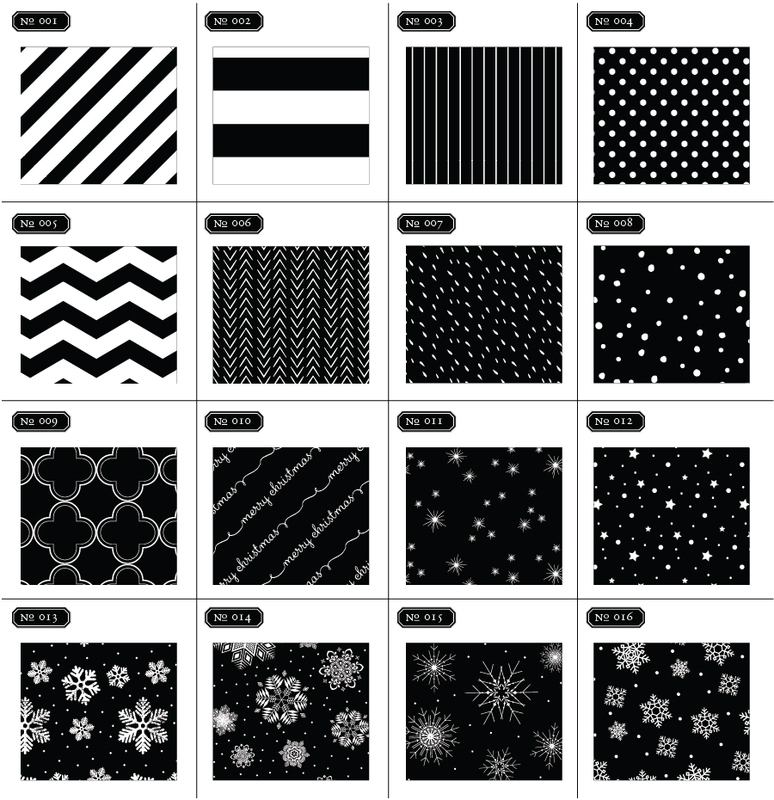 Choose from any of the patterns shown in the shop or featured below. The pattern can be slightly adjusted – for example, make the stripes thicker or thinner. You can also use faux chalkboard or faux kraft texture for your background. Choose 2 colors per pattern. Liners are available with or without assembly. If you decide to assemble yourself, follow these instructions. Banter & Charm offers four fun die cut options to transform your 5×7 Christmas card to a unique shape! Envelopes can be pre-printed with your return address. I can also print mailing addresses for each person on your Christmas card list! Just fill out the guest addressing template and submit it with your order information. 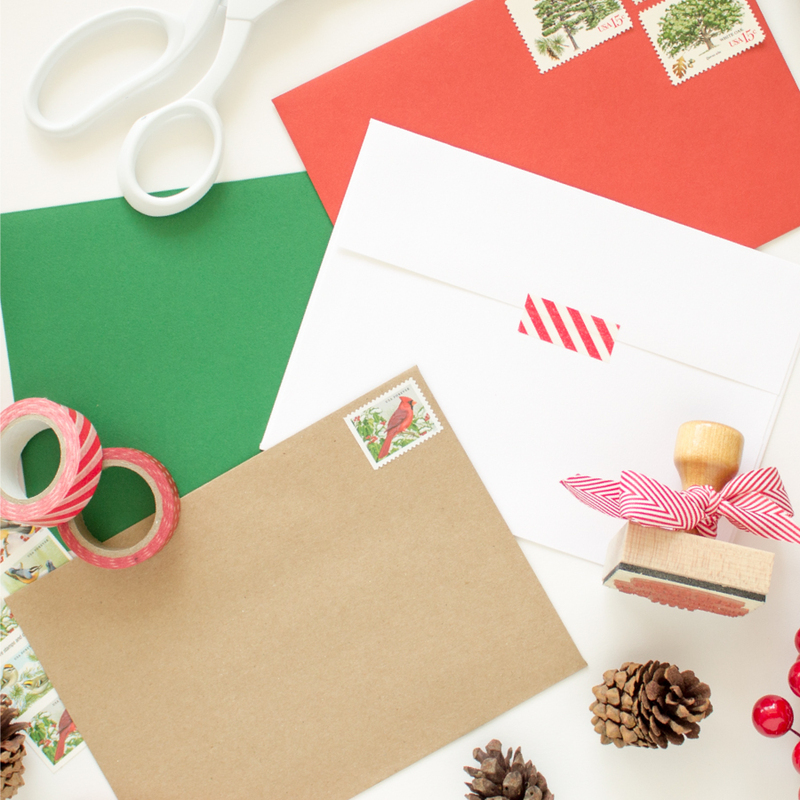 Add some cheer to your envelopes with holiday postage stamps! A collection of Christmas postage is available to purchase through Banter & Charm’s Zazzle shop, but if you don’t see exactly what you’re look for I will create a custom design to match your Christmas card!